Ahmedabad: The Ahmedabad Metro Rail Project corridor which is passing close to the area of Archeological Survey of India (ASI) protected monuments got permission for its underground construction work, the total distance of Metro track which is passing from monumental area is 106 to 289 meter. The Managing Director of the Ahmedabad Metro Rail Project I.P Gautam said that we are expecting trial run from Vastral by first week of January. He further said that after detailed review the National Monuments Authority has approved the Underground section passing through the regulated zone of 10 ASI Protected Monuments. He also added that detail vibration studies had been carried out and the National Monoments Authority was satisfied with the arrangements and future plan for protecting ASI monuments in the world heritage city. The Ahmedabad Metro Rail projects for underground section began work from Kalipur side of fourth Tunnel boring Machine (TBM). It was launched near Klupur Metro station, where the proposed integration of bullet train (high speed rail), metro and railway has been planned as it will become an important public transport hub. 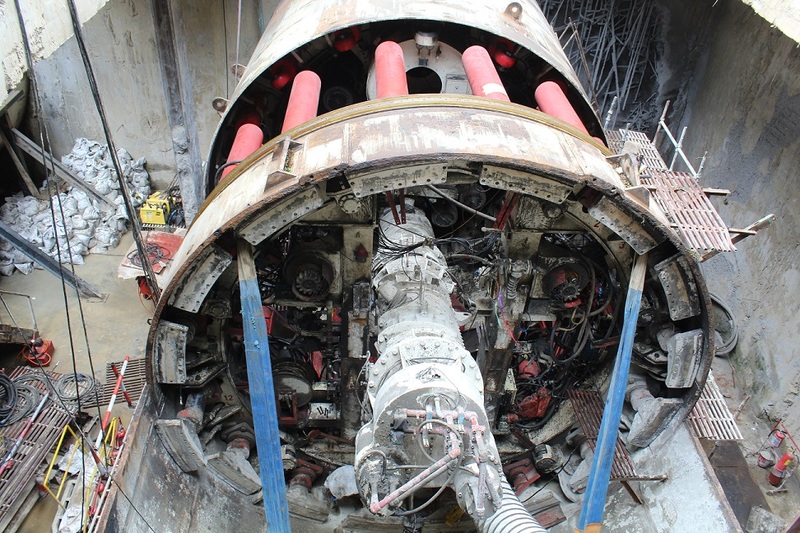 The tunnel boring machine completes tunneling a maximum distance of 15 meters each day. All the necessary security measures were taken for smooth operating and the three tunnel boring machine have so far bored nearly o.6 km. The work at the Apparel park depot is nearly completed and it will be ready for operation by first week of October 2018. In North- South corridor which is running from APMC to Motera, the construction work has been already started from both the ends, even elevated corridor has been completed of 5 km stretch.The construction work of RCC of three stations are also at an advanced stage.